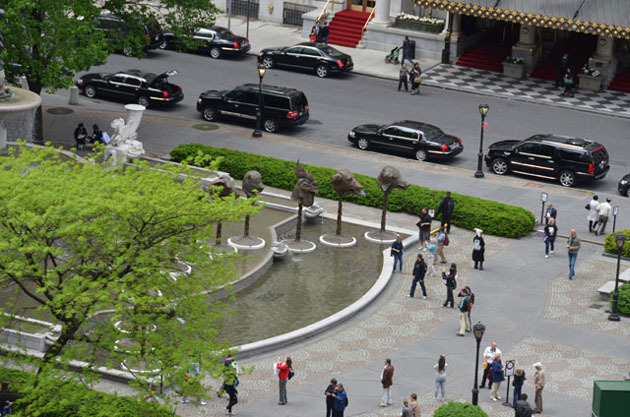 The penthouse terrace of Edge headquarters in New York City overlooks the Pulitzer Fountain at Grand Army Plaza in front of the Plaza Hotel. 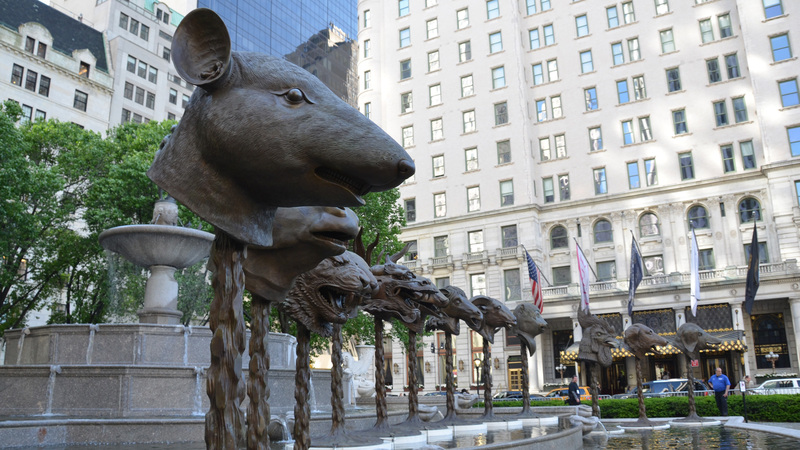 This view was changed earlier this month by the installation of Circle of Animals/Zodiac Headsby Chinese artist and Edge contributor, Ai Weiwei. I met Ai Weiwei last October in London, during the Edge-Serpentine Gallery event "Maps of the 21st Century" at the Royal Geographic Society when he stopped by and we were introduced by our mutual friend and collaborator, Serpentine curator Hans Ulrich Obrist. 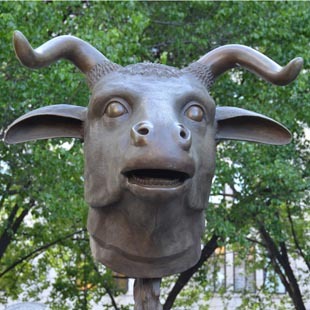 I was pleased to learn that Ai Weiwei was planning to attend the New York opening of Circle of Animals/Zodiac Heads and I was hoping to arrange an Edge event during his visit. However, the Chinese authorities had other plans. In early April Ai Weiwei was detained as he was boarding a plane for Hong Kong. 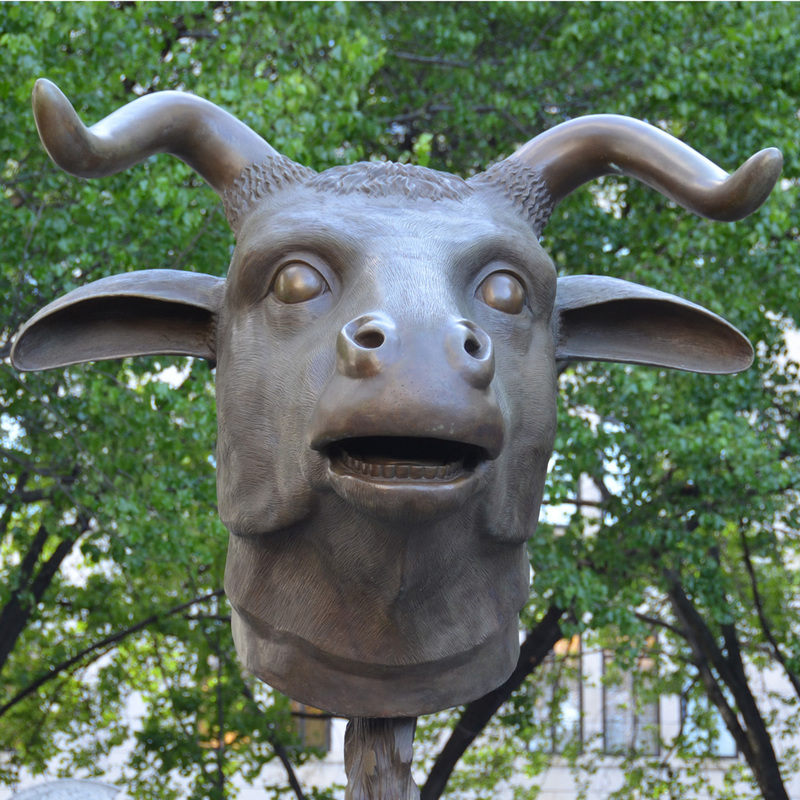 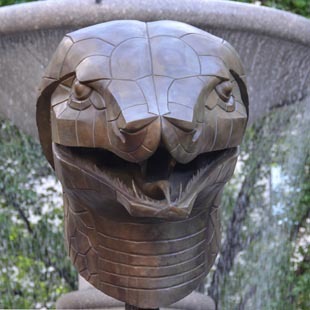 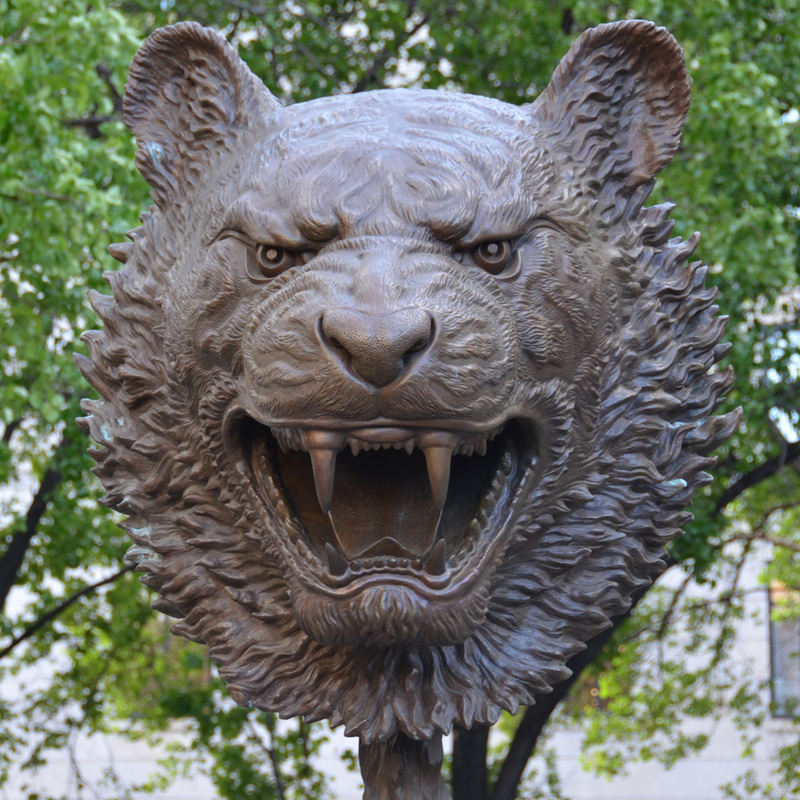 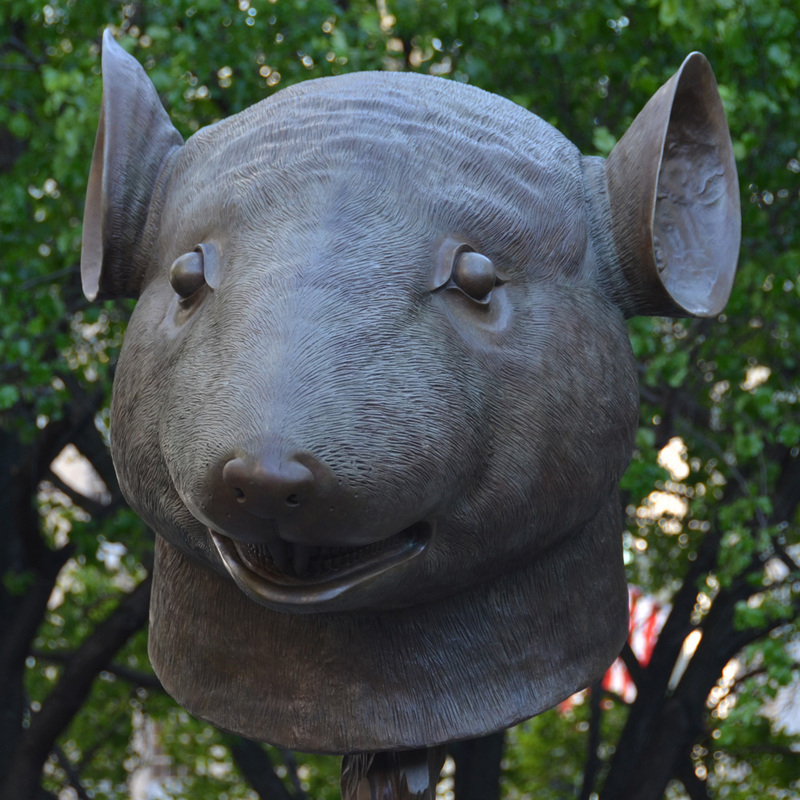 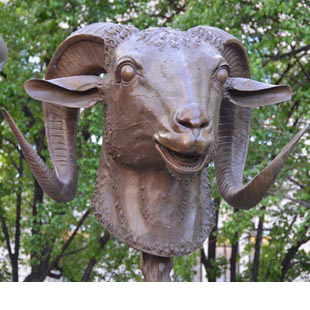 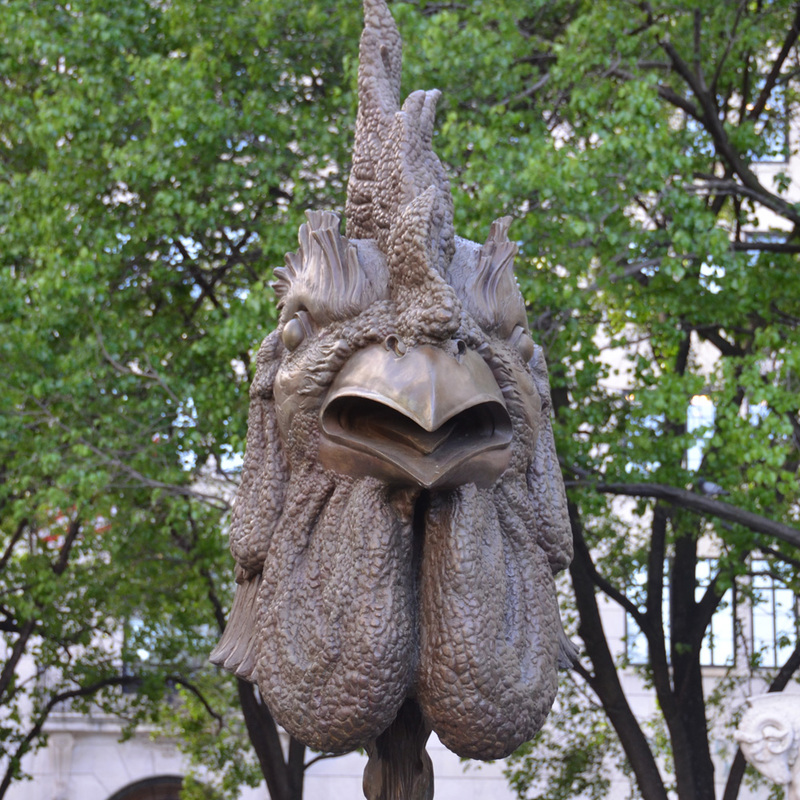 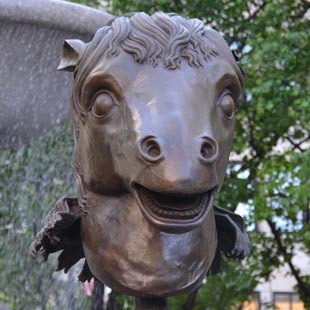 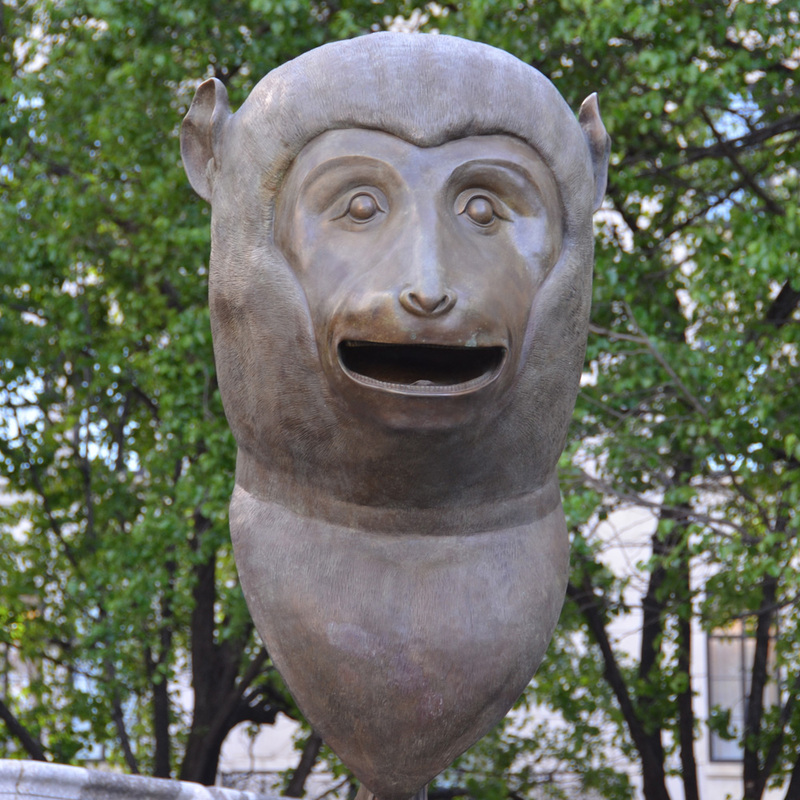 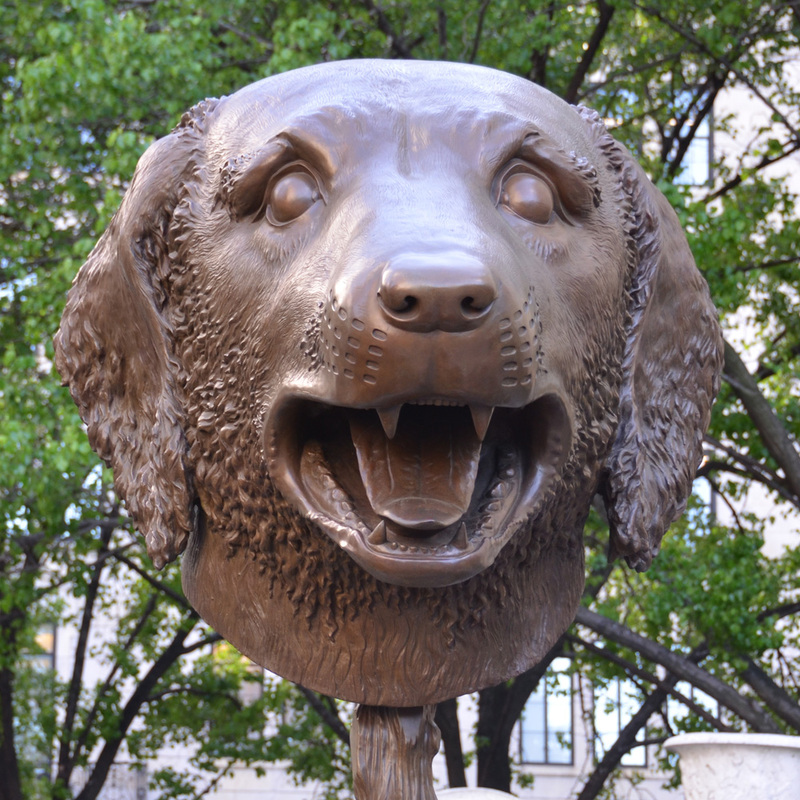 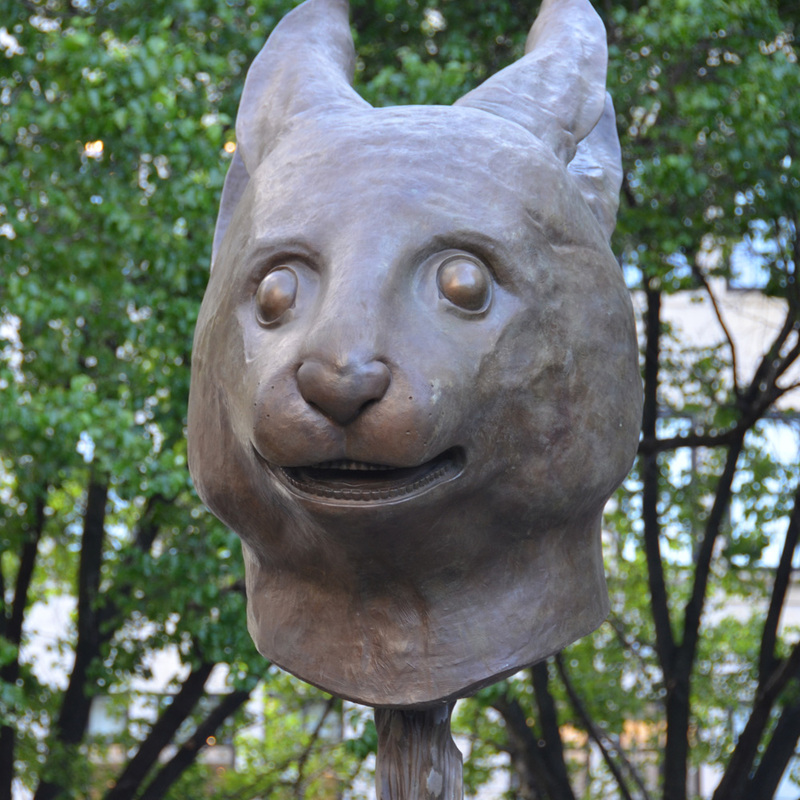 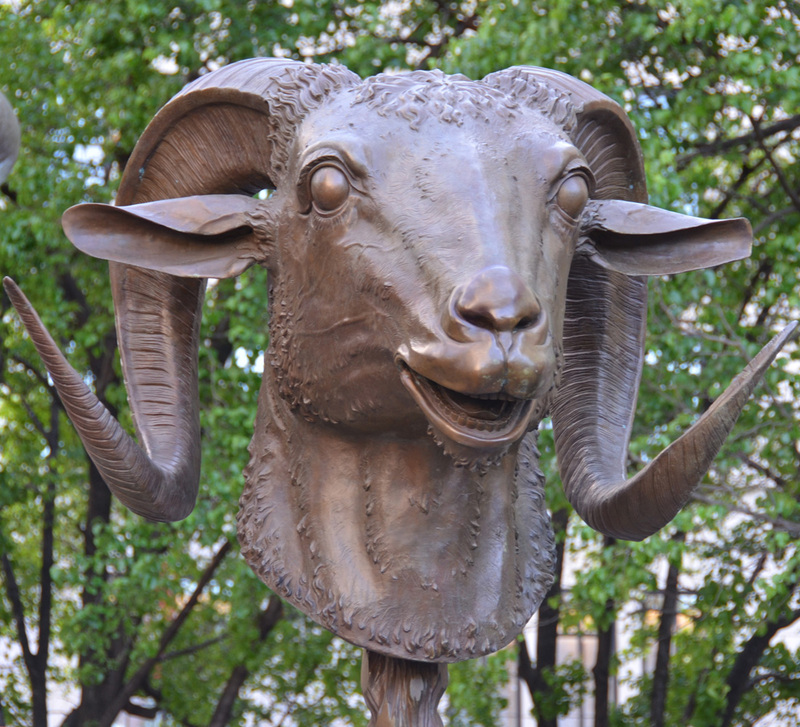 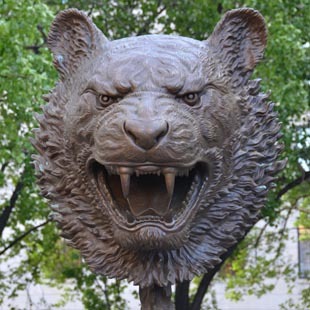 (From the program:) Circle of Animals/Zodiac Heads is Ai Weiwei's first major public sculpture project. 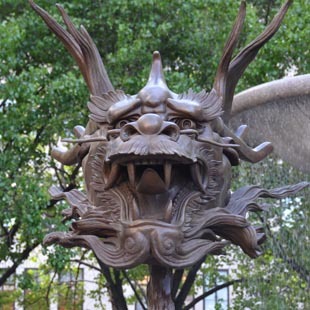 Designed in the 18th century by two European Jesuits serving in the court of the Qing dynasty Emperor Qianlong, the twelve zodiac animal heads originally functioned as a water clock-fountain, which was sited in the magnificent European-style gardens of the Yuanming Yuan. In 1860, the Yuanming Yuan was ransacked by French and British troops, and the heads were pillaged. 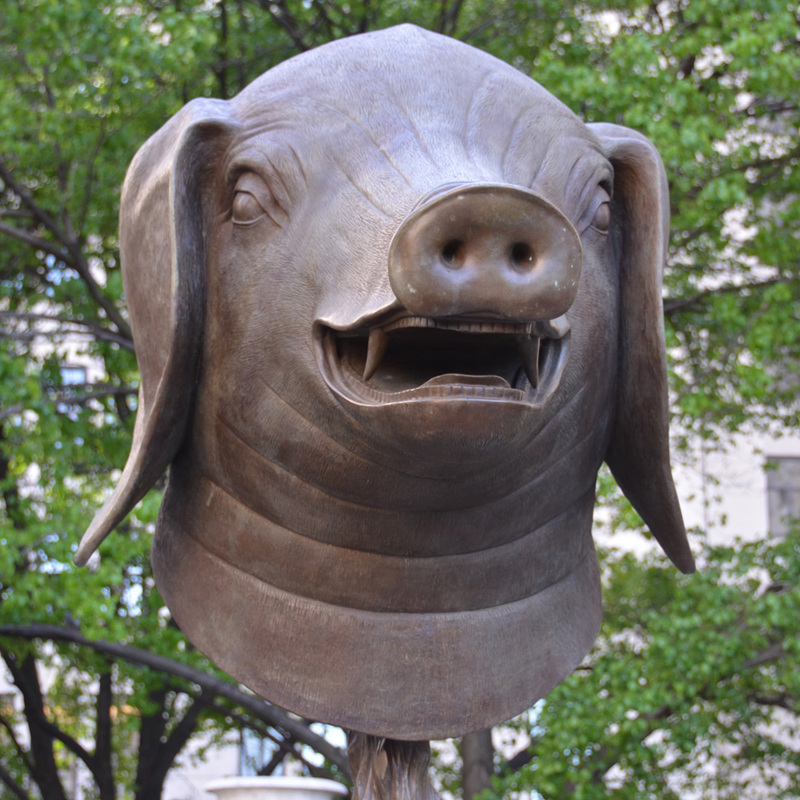 In re-interpreting these objects on an oversized scale, Ai Weiwei focuses attention on questions of looting and repatriation, while extending his ongoing exploration of the "fake" and the copy in relation to the original.